Chanukah is here. The Festival of Lights celebrates the old and new story of Jewish resilience and vision. Today, the Menorah symbolizes what it once did many centuries ago. It brings the Jewish people around the glowing lights to feel the passion we have always had for God, Torah and Israel. It stands for our people’s faith and strength to overcome challenges to Jewish life in all ages. 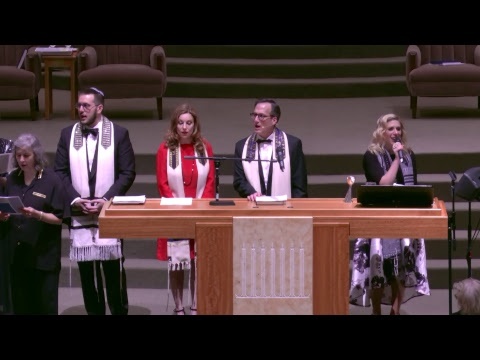 At Congregation Beth Israel, in Houston, Texas, we are steadfastly dedicated to the welfare and security of the modern state of Israel, its land and people. We acknowledge and laud President Trump’s recent announcement on Jerusalem, Israel’s capital, as a restatement of facts on the ground, and a new starting point for reasonable heads of nations and peoples to pursue peace in the Middle East. Though this recognition isn’t part of a comprehensive or larger strategic plan, which would have been preferable, it doesn’t preclude our hope for a two-state solution. The facts are clear: Jerusalem is the capital of Medinat Yisrael, the State of Israel. To the rest of the world, Jerusalem is an international capital and host to three Abrahamic religions, among others. Last week, President Trump clarified for the world that Jerusalem is more than a debated international capital with claims on it from many foreign lands and other peoples; now, America and Israel define Jerusalem as the unquestionable capital of the sovereign state of Israel, and will make plans in the future, even years from now, to move the American Embassy from Tel Aviv to Jerusalem. To Jews around the world, this is a significant step for Israel’s strength. Notably, the President also made clear that America is committed to Israel’s Middle East neighbors and their allies who recognize Israel’s right to exist, and whose interests include regional peace. However, future peace talks will now begin with one new condition, namely, that the subject of Jerusalem as Israel’s capital is non-negotiable. Wisely, the President’s statement did not preclude, as part of future peace talks, negotiated boundary lines that a two-state solution would require. Though the president asked for “moderation” and “tolerance” from Israel’s neighbors while pledging support for their peace, too, it shouldn’t surprise anyone that violence and terror would accompany his announcement. It also shouldn’t surprise anyone that different opinions among Jews will affect the unity of world Jewry at precisely a time when we should stand together. At Congregation Beth Israel, we stand with world Jewry and will continue to advocate for Israel’s peace and security. Other significant issues concern us as Reform Jews, but this week’s announcement gives us reasons to believe that there will be a time and place for broader political, social, and religious agendas in Israel to be realized, too. As Chanukah lights glow this week, let’s dedicate ourselves to the reason for our season, namely, the sanctification of Jewish hopes founded on our 3,000 year-old relationship with Jerusalem. Today, let us stand together and pray for the peace of Jerusalem! Chanukah Family Service, Friday, December 15th, 6:30pm in the Sanctuary! Delicious Oneg Shabbat follows immediately with latkes, sufganiyot (jelly doughnuts) and more! Below you’ll find links to Jewish organizations. Navigate their websites to find statements and commentaries on this and other news about Israel and the world. For more, search for daily news on Israel.